First of all, I want to thank all of you who stopped by the Yen booth at Comic Con! It was great to see your enthusiasm for our books and all of our goodies as well. We also made some exciting announcements at our panel.  For those of you who missed it, here’s what’s new at Yen Press next season! As a few of you noticed when we posted the Yen Plus covers a couple weeks ago, there were a couple titles we held off announcing till the very end. Surprise! Sarasah by Ryang Ruy is about a young girl who’s given a second chance at love. By righting the mistakes in their past lives, she hopes to at last win the admiration of the boy she adores. One Fine Day by Sirial is a cute, fun story about the daily adventures of Nanai the dog, Guru the cat, and Rang the mouse in the company of their owner No-Ah, a magician-in-training. For those of you who have been enjoying the Kieli manga series, we are pleased to announce the release of the Kieli novel series by Yukako Kabei which inspired the manga. Be sure to read the continued adventures of Kieli and Harvey! And of couse, no panel would be complete with a slew of new graphic novel titles! Step by Yanshu Yu – A full-color series from China! An orphaned vampire is taken in by a vampire/monster hunter with questionable motives. GA: Geijutsuka Art Design Class by Satoko Kiyuduki – A 4-koma manga from the creator of Shoulder-a-Coffin Kuro about a group of art students mastering color theory. Interspersed with full-color pages and real art lessons. Oninagi by Akira Ishida – A high-schooler descended from demons forms a tenuous bond with a demon-hunter when they are both targeted by a greater evil. Ichiroh! by Mikage – Another 4-koma series! These three high-school friends can’t wait for college! Just one hitch: they’ve failed the exams and will have to hit the books hard for their dreams to come true! Toxic Planet by David Ratte – Imagine a world where pollution has gotten so bad that everyone has to wear a gas mask all the time and the filth is literally piling up around them. Ratte takes a dry, witty look at environmental issues in this French strip. And now (drumroll, please), the big announcement of Comic Con 2008! Based on the bestselling novel series by Darren Shan, Yen Press is proud to announce the North American release of the Japanese manga adaptation of CIRQUE DU FREAK! Darren Shan and his friends are thrilled when the most terrifying freak show of them all, the Cirque du Freak, rolls into town. But this isn’t your normal sideshow–the horrors at the Cirque are real. When Darren’s vampire-obsessed friend Steve professes his desire to join the Cirque, Darren is forced to make tough decisions about his friends and his own future at the freak show. Look for the first volume of Cirque du Freak in 2009! Thanks again to all of you who came out to support us at Comic Con. We hope you all enjoyed a free copy of YEN PLUS, got a slap (bracelet) from JuYoun and our posse of Haruhis, and picked up some posters, pins, and pens from your favorite series! Make sure you let us know how we’re doing! We’ll see you next con! i love the series. so i can’t wait to read the manga!!! I love the Cirque du Freak book and I’ve read the manga before but I can’t believe you guys got a hold of it!. It seems like something Viz would publish… Also, that GA manga looks sooooo cute, I am SO getting it. I fell in love with only about 2 or 3 titles. One fine day is most loved but I can’t find info on it! I hope they have their own manga somwhere. I did find the book lacking info on stories, atleast like a paragraph or so but maybe becasue it’s the first issue. Still debating to buy the second or just the novels I like. A piece of advice for the future: you should give the Kieli novels more promotion if you want them to sell as they should. At least I didn’t know you were publishing them and neither of my friends too. Anyways, now that I’m aware of this, I certainly will be purchasing them on regular basis from now on.